If you’re all set to treat yourself to a brand new Android smartphone ahead of Black Friday 2018 then Amazon’s sale has you covered. We all know how painful it can be to find a new smartphone these days given the insane amount of choice we all have. While choice is good and all, but sometimes the simple things are the ones that resonate best with the buyers. 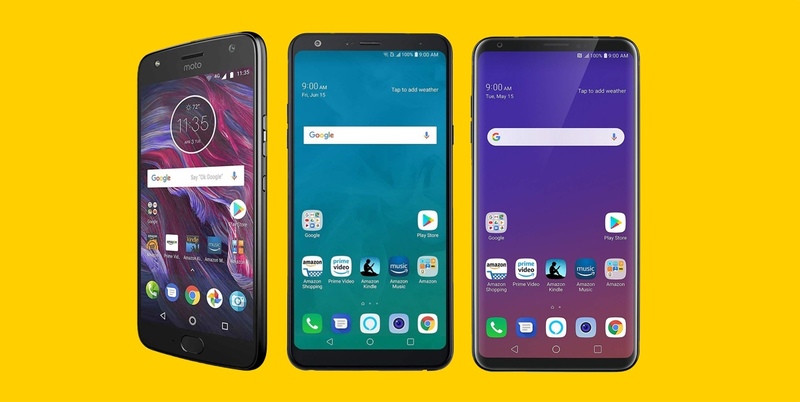 If you’re absolutely lost in what to buy, then Amazon’s pre-Black Friday 2018 sale on smartphones will make things easy for you as all of these devices come with a price tag that’s way lower than the original, hence making them easy to pick. There are several options to be had here including the 4th-generation Moto X in different color options, that too in 32GB of memory capacity. But wait, there’s more. You can also pick up a LG V35 ThinQ fully unlocked with 64GB of storage as well. If you’re looking for even cheaper options here, then you will be pleased to learn that devices like the Moto G6 and the Moto Z3 Play are also included in the list. There’s something in here for everyone and picking up is easy since you are saving a ton of money in the process. Remember, these deals are exclusive to Prime members only. If you aren’t then you might want to end up paying full price for these phones. Check out the list below and grab your pick right away as these deals will not last long.